As somebody who lives close (as in a few minutes walk) to Oxford Circus it's going to be, erm, interesting over the next few years! A lot of schlepping down to Marble Arch for a bus - honestly I never got the Oxford Street as a tourist destination hype. The buses have actually flowed pretty well over the last few years (certainly compared to, say, the bottom of Regent Street, the bottom of Baker Street, the bottom of Gower Street, the entire length of Southampton Row...). I mean, for a start, Paddington, Knightsbridge, Finchley Road, Maida Vale, Kensal Rise and Notting Hill Gate will all be 2 buses away. Liverpool Street already is, as is Fleet Street. I recognise that if Oxford Street is to be pedestrianised, this is, while flawed, an excellent solution to most problems that could arise (Hammersmith to Westbourne Park may be three quarters of a loop, but the 46, 224 and 331 do a similar thing and turn out alright). I think more could be made from Marylebone Road, however - the proposal from somewhere to route the 10 via the 30 makes sense in my head. Perhaps the 30 could then be rerouted away from Baker Street down Sussex Gardens to Lancaster Gate, and maybe even on to Notting Hill Gate and to where the 390 once stood? I'm unsure what this would do to passenger crowding on the route, though. I'd love to know what a professional busman like Sir Peter Hendy really thinks about these changes. I bet he is appalled but, of course, he can't speak out publicly. Given that Mr Hendy is no longer involved in the bus industry surely he is free to say what he wants? If indeed he wasn't previously. Is there any evidence to suggest that he is appalled? Given he has been directly appointed by the Mayor as the chair of the London Legacy Development Corporation I expect he will be more than circumspect in remarking about the implementation of Mayoral policies. He is also still in the public eye and his views will be captured by the media and he would not want to be seen to be criticising his successor in public. He's more than astute enough to avoid that trap. My impression (so not evidence ) is that when he was Commissioner he argued very strongly to try to preserve the operational integrity and convenience of the Central London bus network hence his repeated remarks about needing "large bus stations" at Marble Arch and TCR to cater for the curtailed routes. I would argue that these proposals prove the point in respect of Marble Arch. The fact that we know, as it is on the public record, that Camden Council want the redeveloped area around TCR station / Centrepoint to be mostly pedestrianised poses risks to TfL's need to preserve, as a minimum, the existing stand space. 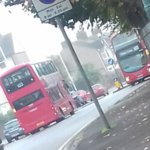 If you need to somehow cater for other routes terminating there - 55 and 73 as a minimum - then there is a huge problem if those routes remain broadly as frequent as now. I think the Oxford St proposals didn't move forward very far simply because Mr Hendy kept arguing strongly that the bus service had to be protected. I am afraid that the current Commissioner, Mike Brown, is not arguing to protect the bus service which is why we are seeing such damage inflicted. I know Mr Brown of old - there's no doubting he's a decent, skilled and competent chap but railways are his core knowledge, not buses. There are fundamental differences between the two. In public he is often "bending over backwards" to be positive about Mayoral policies which is not the same approach that Mr Hendy took. There is a marked change in "style" between the two Commissioners. You might be correct that the routes merge *but* the HS2 works at Euston mean the loss of the bus station for many years and likely chronic congestion in the area for the same period. I can't see TfL wanting to terminate many buses in the area. I would not be shocked to see routes like the 68, 476 and 253 curtailed away from the area for many years. There are logical turning points at Russell Square, Kings Cross / Islington and Mornington Crescent for these routes. I expect the 73 will still reach the TCR area but may be sent to Holborn to terminate (old 98 stand). This will be after TCR is made 2-way for buses. 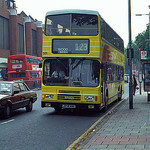 The new routes 218 should extend from Hammersmith to Acton Green then 94 would be withdrawn as marble arch is tight. 98 should terminate at Lancaster Gate there would be enough space for the other bus like 137, 7, 30 etc. The endless stream of consultations about central London make it very difficult for me to picture what through journeys will be possible after all this goes ahead. And information about the interchange possibilities at Marble Arch would be useful to make sense of this one. I would like to see a '2018 map' of the area so I can get my head around all this. It would help if they could come up with a single coherent plan for the 23 and stick to it. I would imagine the road layout at Marble Arch will be redesigned to accommodate more bus stands and hopefully some sort of bus interchange? Did you know the CCTV in Oxford Street isn't even monitored by anyone routinely. Bear that in mind when you're walking around in early hours across Marble Arch to find your night bus home. My reckoning is the public won’t properly twig until it’s been pedestrianised and then realise it when it’s too late. I hope local residents are on the ball about the potential for vast amounts of traffic running down roads it currently wouldn’t as well making main roads like Edgware Road even worse than it is currently. What I find amazing about this consultation is the lack of a mention of just how wide the knock on effects will be as it won’t just be Oxford Street buses that will be affected. 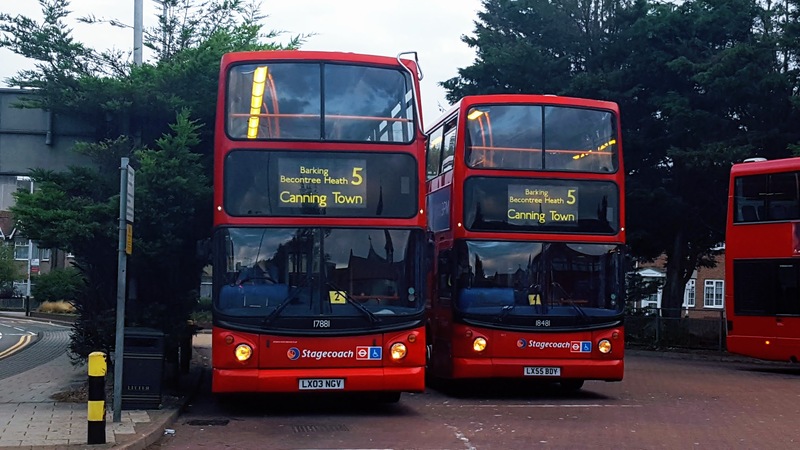 Routes like the 6, 16, 36 will have to receive new schedules to try and cope with reliability issues - even the 18 & 27 could end up being majorly affected by increased congestion. Then you’ve got the unavoidable re-routing of the 2, 30, 74, 189, 274 as well to throw in the mix - the potential for disruption is enormous. As I remarked many months ago there has been a strategic decision to do this in "chunks" to avoid a massive public outcry if people were to see the end state. I also suspect there is not yet sufficient detail about bus services to paint the end 2018 / early 2019 picture. Too much is in a state of flux because of the mad panic to strip out mileage and cost this year because someone got their assumptions wrong. Of course if there is no recovery in revenue then next year the cuts will have to accelerate which will worsen things further. I'd rather they just put the d*mn fares up! Have you looked at the detailed maps and plans about bus stands? This shows the total volume of bus movements with a coloured line for each route at both Oxford Circus and Marble Arch. You can use that to see where individual routes run / terminate / stand / pick up for return trips. It's a nightmare if you're colour blind as I am but someone with perfect colour vision will be able to cope better with the info. One thing those maps do emphasise is the huge numbers of buses passing through difficult junctions and also the scale of the task in removing routes when the next two phases of pedestrianisation happen. The section west of Selfridges is very difficult and, of course, there are large numbers of coaches that use that route. There must also be some implications for sightseeing buses too with all the loss of road space. It is also worth noting that the cycling lobby are upset by the exclusion of cycles from the pedestrianised Oxford Street so that's new battleground for TfL to deal with. Oh come on this really is beginning to sound like project fear allover again. Obviously it's going to be done in chunks, it's just not logistically possible to do the whole thing in one go.